If you’re like many churches, you may have been relying on volunteers to clean your facilities for many years, but now you need to search for other arrangements. 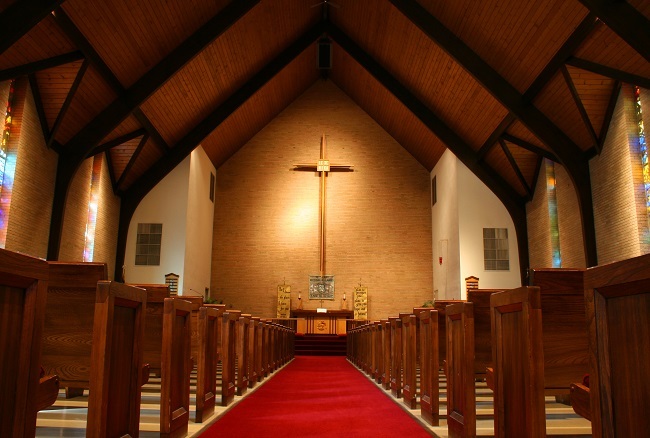 See how professional church cleaning services can help you maintain your facilities, and serve your community better. Maximizing volunteer resources. There are many good reasons to hold onto your volunteers. Many people find cleaning sacred spaces to be a meaningful way to express their faith, and any volunteer activity helps you to operate on a tight budget. On the other hand, your volunteers may be getting older and less mobile. Outsourcing some or all of the cleaning responsibilities would allow your volunteers to focus on tasks they can do more effectively. For example, they could do community outreach or continue cleaning the sacred spaces while trained custodians take care of the kitchens and other areas. Improving scheduling: As valuable as volunteers are, it’s difficult to expect them to always be there when you need them like when they need to take time off for all their other responsibilities or you need someone to clean up after a Saturday night wedding. With a professional cleaning service, you have resources available 24/7. Serving your community. Professional cleaning services can help whether you have a small facility or a giant campus. Church members and other visitors want a clean and orderly environment. You want to maintain a welcoming place for worship and other activities. Alpine Building Maintenance has been serving the Fort Worth area since 1978. Contact us so we can discuss your church cleaning and management needs, and show you how we can help.